ILT offers calibrations of light measurement systems as well as detectors, sensors, and diodes over the range of 200 nm - 2500 nm. (Above 1600 nm requires engineering review prior to quoting). ILT offers calibration for power/total flux, irradiance / illuminance, intensity and radiance for direct readings in Watts, Lumens, Lux, W/sr, Candela, and cd/m2. Not all sensor combinations are possible, however, depending upon the spectrum/band pass, filter, weighting, peak wavelength, and dynamic range of the system configuration. In cases where one meter can be used with many sensor/filter/optic combinations, calibration of that meter may not be possible. 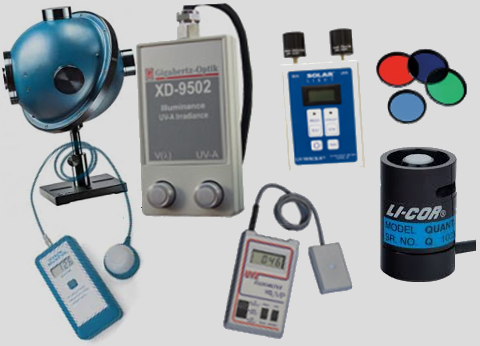 Below is a list of meter brands that ILT commonly calibrates. Use the drop down to jump to a specific brand/manufacturer. If you do not see your specific meter listed, contact us at ilsales@intl-lighttech.com or by calling us at 978-818-6180 x118. 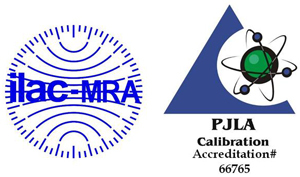 Request an RMA using the link above, or by clicking on the meter you'd like calibrated. If you need a quote prior to service, select "Yes" for Quote Needed Prior to Servicing question.